The Washington Redskins (4-4) return home for their Week 10 matchup against the Minnesota Vikings (6-2). They do so with ample momentum following Sunday’s stunning 17-14 upset over the Seattle Seahawks. They also enter with plenty of injury uncertainty on both sides of the ball. Taking down a fellow NFC playoff contender riding a four-game winning streak won’t be easy, but would certainly be helpful. Last week’s heroics go for naught if the Redskins drop their third home game of the season. Here’s a look at four things to watch in Sunday’s 1 p.m. game at FedEx Field. The Washington Redskins are poised for another week of random along the offensive line, yet there is hope for some if not all four starters who sat out Sunday’s loss at Seattle. 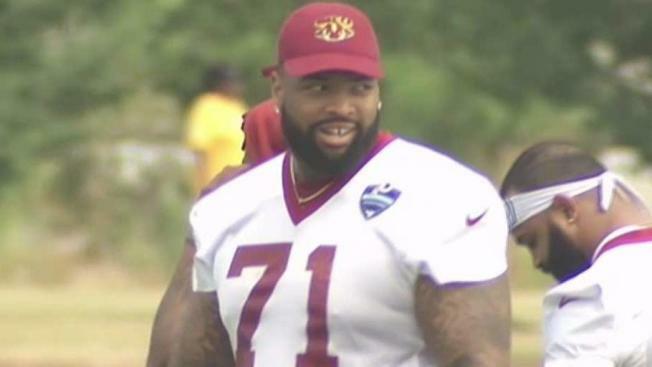 The biggest news involved left tackle Trent Williams returning to practice Friday after sitting out the past two games with a kneecap injury. Third stringer T.J. Clemmings took over as quarterback Kirk Cousins’s blindside protector with Williams and Ty Nsekhe sidelined. Results were at best mixed. There’s no confusion over Williams’ value for the offense. The question is simply can he go. If Williams isn’t ready, Nsekhe might get the call assuming he can return from a core injury that kept him sidelined since Week 3. Washington certainly could use either against Minnesota pass rusher Everson Griffin. Right guard Brandon Scherff (knee) and left guard Shaun Lauvao (stinger) are “questionable” after not playing last week. Center Spencer Long (knee), out the past two games, received the same designation along with right tackle Morgan Moses (ankle), who has played through his injuries. Scherff looks like the best bet for Week 10. Arie Kouandjio performed nicely at left guard last week and rookie center Chase Roullier now has two starts on his resume. There is a new element this week as Minnesota activated Teddy Bridgewater, for the first time this season. At some point the Vikings will want a closer look at their true starter. That’s probably not this week, but will Keenum start feeling the pressure. Will the Doctson deliver again? Josh Doctson’s diving 38-yard catch on the Redskins’ final drive set up the game-winning touchdown. The hope is the play also set up the second-year receiver with enough positive vibes to overcome a strange start to his career, one that left many skeptical about his future. Doctson has a tremendous size-speed combination. The Redskins have moved him ahead of Terrelle Pryor on the depth chart. That catch reminded all of his capabilities. Now can Doctson deliver the consistency. Minnesota has allowed only nine passing touchdowns and ranks seventh in passing yards (201) allowed per game.